THERE’S A WHOLE LOT to look at in the Emerald City: groundbreaking art and architecture (whether that ground was being broken in the early 1900s or the early 2000s); a populace that somehow manages to blend chic and outdoorsy; the history of the city that once was, preserved for viewing underground; the hip font adorning the marquee of the corner coffeeshop (which just so happens to be the best coffeeshop you’ll ever visit)…all set within one of the most picturesque natural landscapes anywhere in the world. 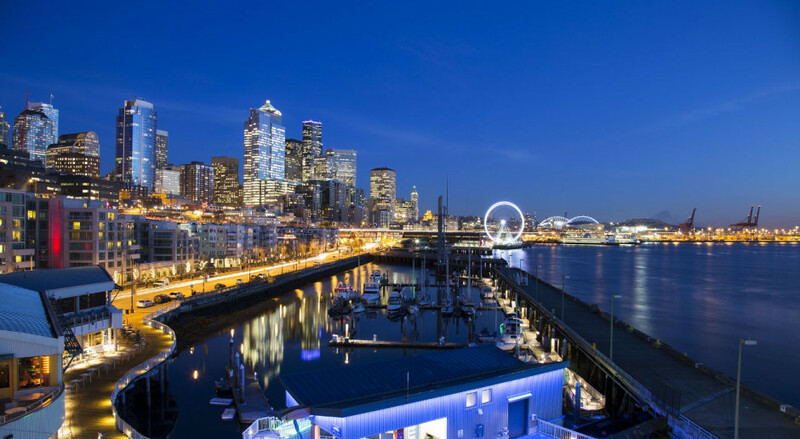 For the past several weeks, Matador has been uncovering the feast for the senses that is Seattle — from the culinary tastes that define the city, to the sounds of seaplanes and sports arenas, to the unparalleled scenery that mixes the best of urban and natural. And we’ve seen a lot of incredible imagery along the way. Here are 22 shots in particular that we can’t stop looking at. 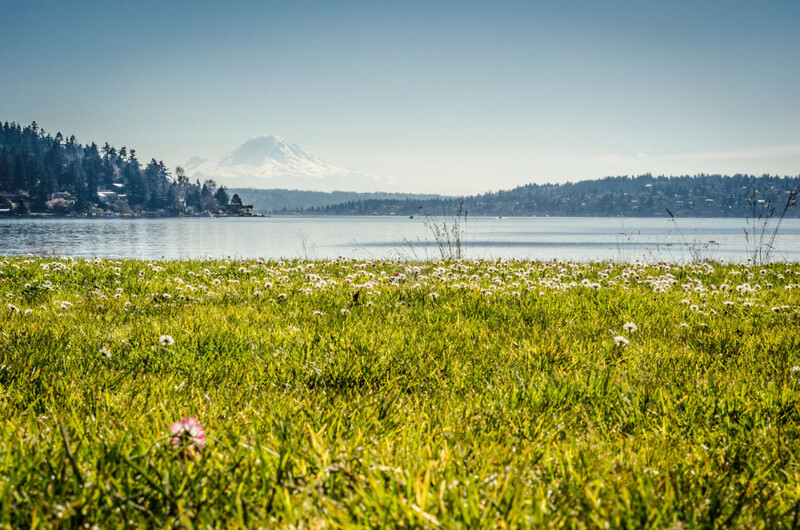 Seattle may be a West Coast American city, but it’s not as simple as “land meets ocean.” The city occupies a strip of land sandwiched between the freshwater Lake Washington to the east and Elliott Bay and the larger Puget Sound to the west. Puget Sound itself is just one component of the Salish Sea—you don’t actually hit the Pacific till you exit the Salish via the Strait of San Juan de Fuca. Needless to say, this complex geography makes for some absolutely incredible potential for exploring, both on and off the water. The Seattle Public Library system’s Central Library is a one-of-a-kind structure, combining a whole host of spectacular architectural and design features, most strikingly the 11-story glass and steel daydream that forms the exterior and casts all kinds of natural light into the building. 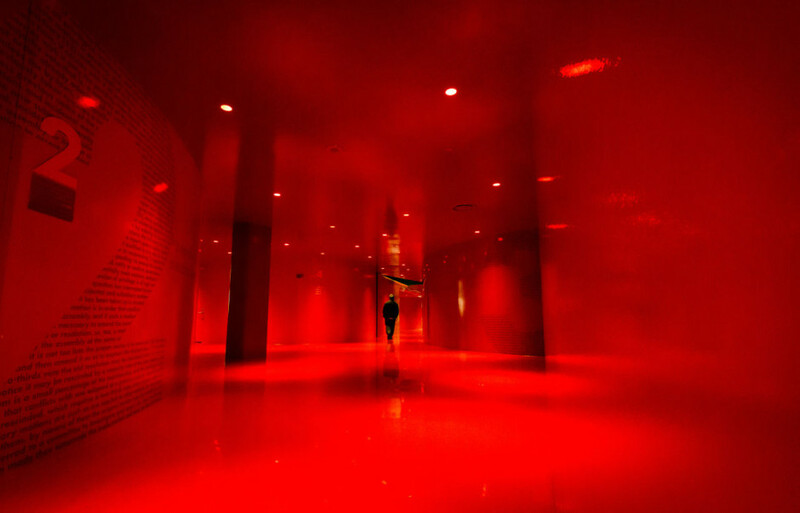 Less visible from the outside but equally memorable include a four-story continuous spiral of books, an illuminated yellow escalator, and the blanket of red that is the Level 4 hallway. 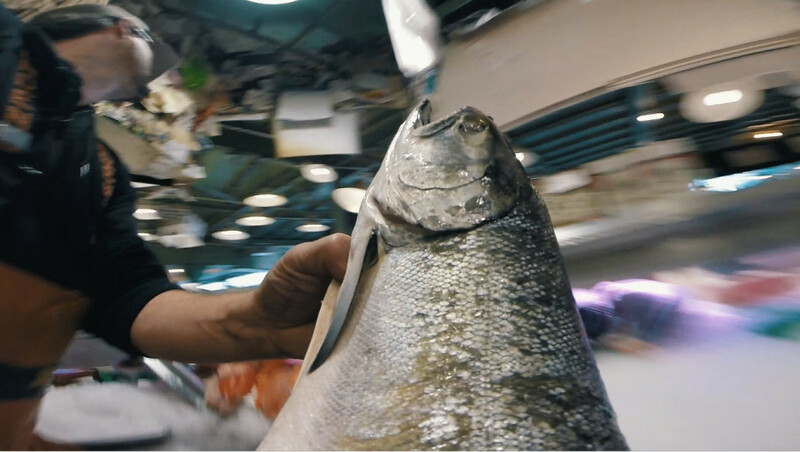 You may well have seen (either in a video or in person) the fishmongers of Pike Place Market tossing fish to each other as they fulfill customer orders. It’s pretty much guaranteed, though, that you’ve never seen what happens when you put a GoPro on one of those fish. Now you can, in Seattle through the Senses. 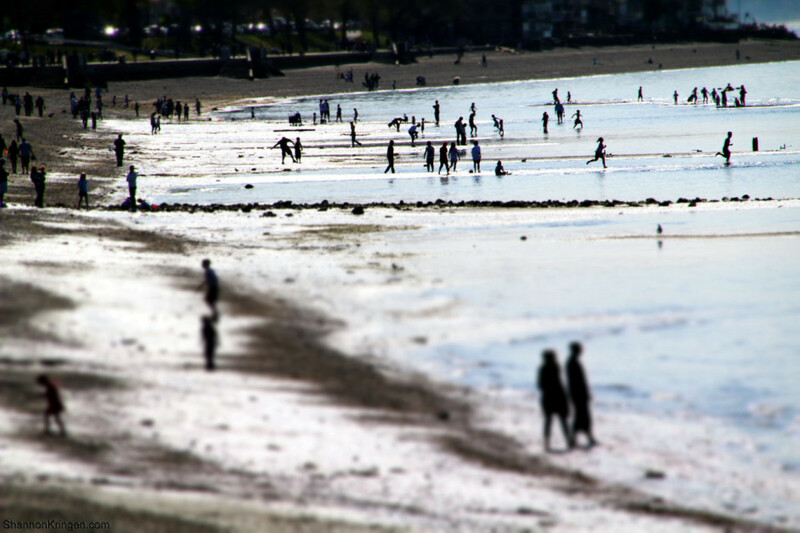 For all the water around this city, it’s amazing it isn’t better known for its beaches. And there are plenty: Golden Gardens Park and Discovery Park to the north, Alki and Lincoln to the south…and that’s just on the Puget side. Few skylines in the world can compete with Seattle’s, a mix of iconic human-made structures (the Space Needle foremost among them) and even more impressive natural features (the looming bulk of Mt. Rainier). With the view above, it’s impossible to mistake which city you’re in—find it for yourself in Kerry Park. But there’s more than one version of a skyline in Seattle, and more than one place to capture it. The city is blessed with access to stunning green spaces just minutes from downtown. This is the view you’ll get from Seward Park looking east over Lake Washington, Mercer Island, and Mt. Rainier beyond. 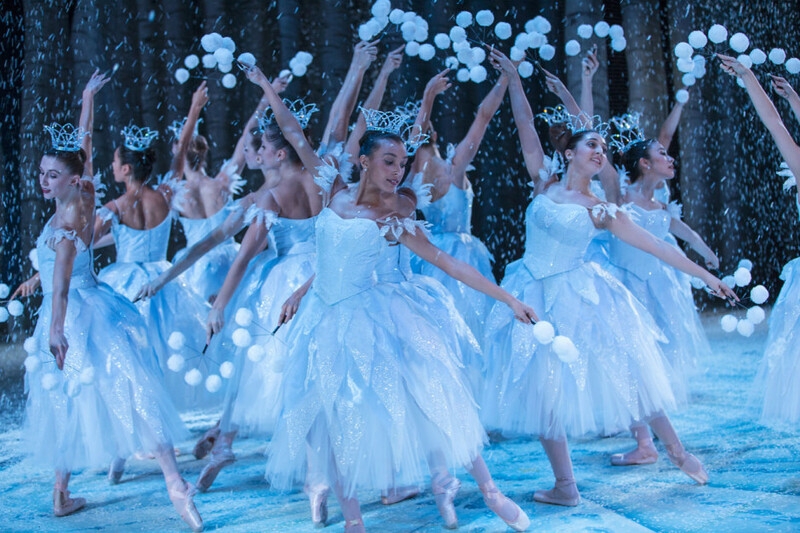 The classic production of The Nutcracker is getting a facelift after 32 years—visit the website of the Pacific Northwest Ballet to get your tickets for this holiday season (performances run through December 28). 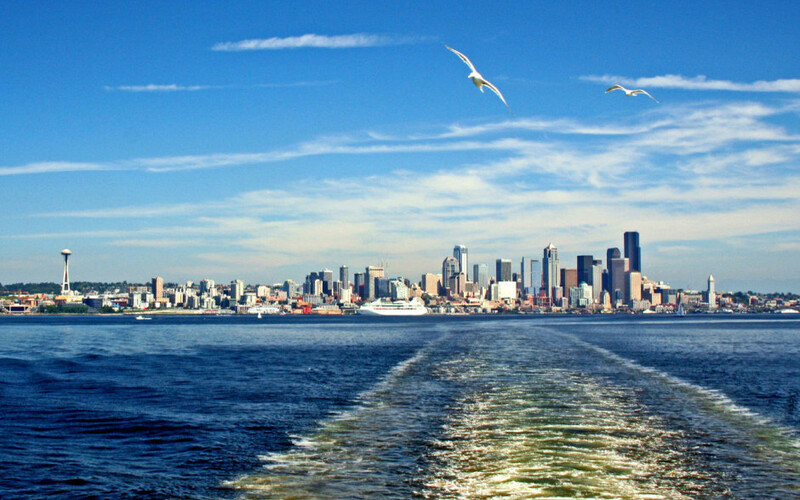 And then check out all the other awesome holiday experiences you can have in Seattle. 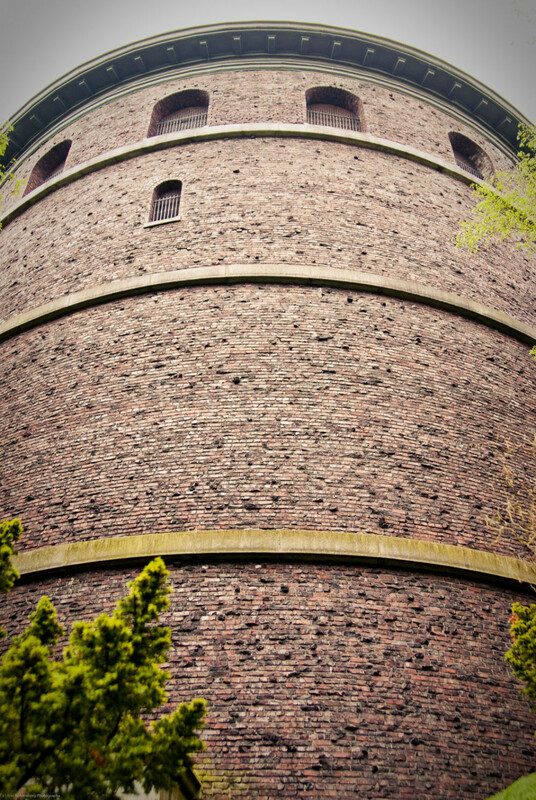 Unbeknownst to most, the 520ft water tower standing at the south entrance to Volunteer Park is open to the public and provides excellent 360-degree views of the city. How many other amazing places in Seattle are there that you’ve never heard of? 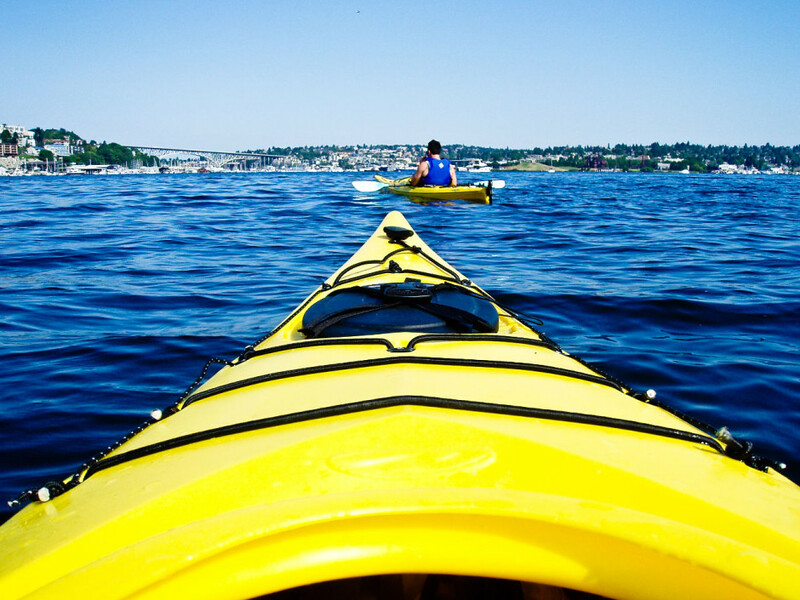 Another great option for enjoying Seattle’s watery environment is renting a canoe or kayak from the University of Washington Waterfront Activities Center and paddling out into the Montlake Cut (the narrow channel of water that separates the UW campus from the neighborhood of Montlake) and around the shoreline islands of Union Bay. Not every scenic cityscape has to feature the Space Needle. This is Seattle’s Waterfront; the image above was taken from the Bell Harbor Marina and shows the curve of Elliott Bay, including the Seattle Aquarium, the Great Wheel, the arches of CenturyLink Field (home of the Seahawks and Sounders), and the massive cranes of Harbor Island, all with Mt. Rainier silhouetted in the distance. 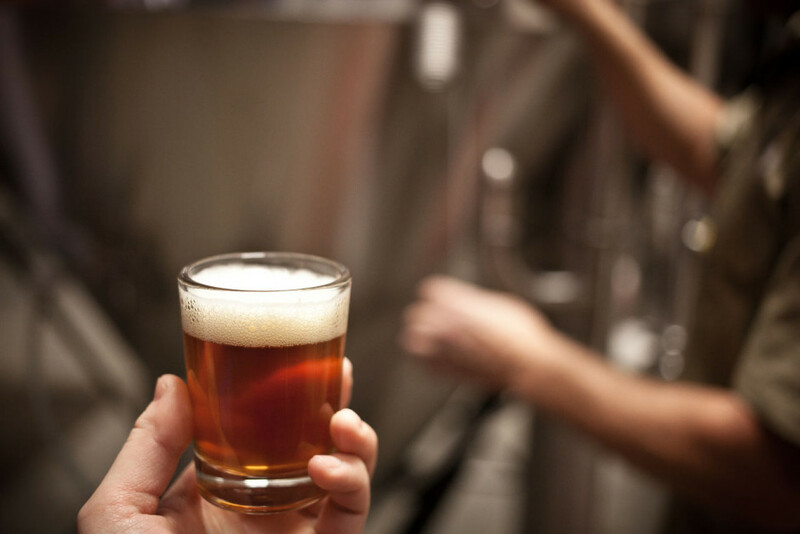 From Ballard in the north (where you can sample the Imperial IPA brewed by Schooner Exact, seen above) to Georgetown in the south, the map of Seattle is dotted with quality microbreweries and brewpubs, small and large, established and newly opened. They’re what make beer one of the essential tastes to experience on a trip to the city. 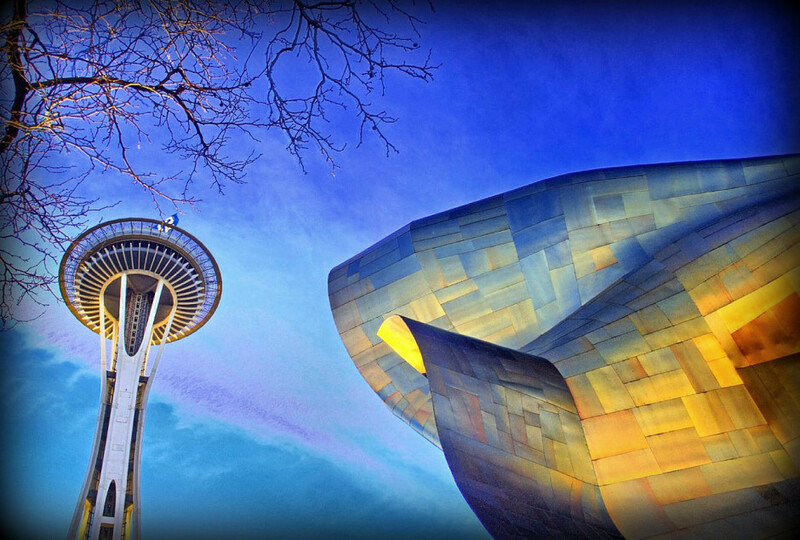 Two of Seattle’s most epic structures, the Space Needle and the Experience Music Project Museum, share the sky above the Seattle Center complex, just north of downtown. The EMP is worth a full 360-degree circumambulation to appreciate the Frank Gehry-designed facade composed of 3,000 shaped steel and aluminum panels. And then of course don’t neglect to head inside to check out the exhibits whose themes range from music to sci-fi to film and pop culture. Definitely budget more time in Pike Place than it takes to see the airborne fish. 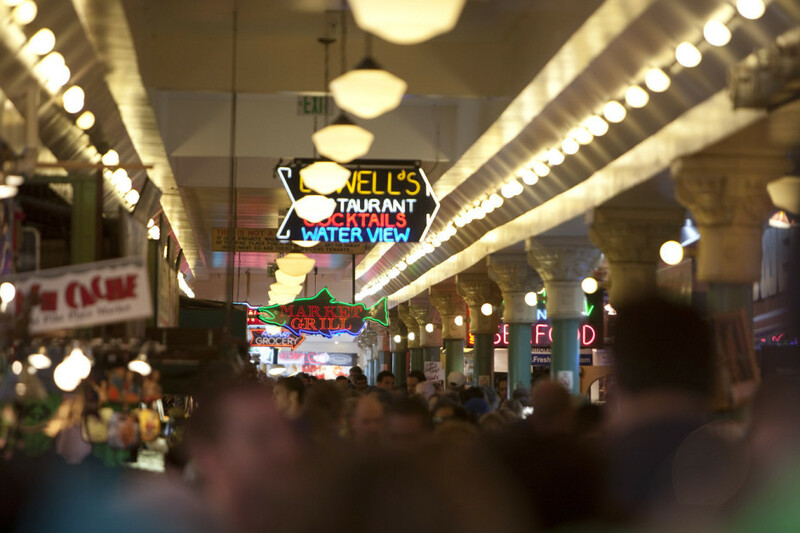 It’s a fully functioning public market, after all (one of the oldest continually operating in the US) and is a labyrinth of vendors covering multiple floors and selling everything from cut flowers to antiques to comic books. As one of America’s preeminent West Coast metropolises, Seattle has been a major destination for East Asian emigrants for more than a century, and today is home to broad and populous communities of Asian Americans. 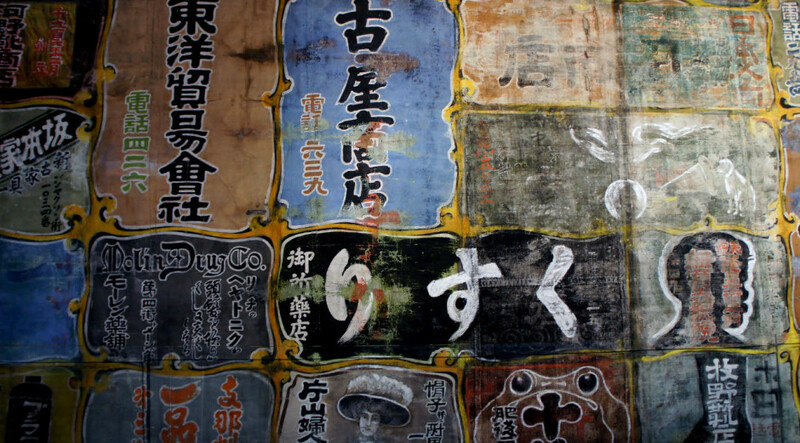 A great place to learn more about this story is the Wing Luke Museum in the International District, with gallery showings, historical exhibits, and daily tours. 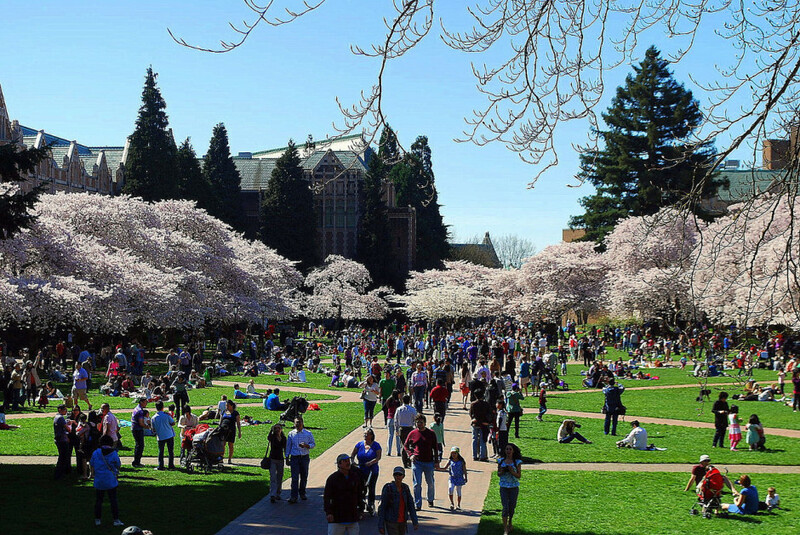 UW’s quad is the place to be on Easter Sunday, when thousands of locals and visitors alike bring their picnic lunches and their cameras to enjoy the cherry trees, which are typically in full blossom around this time of year. The Ballard Locks is a large and practical piece of infrastructure whose purpose is to connect Lake Washington and Lake Union with Puget Sound. 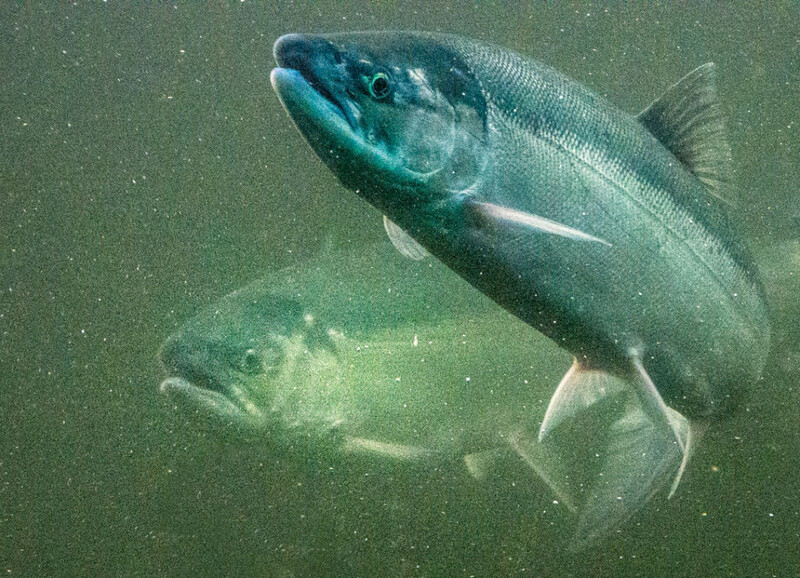 But this is also where you’ll find the fish ladder, designed to allow migrating salmon to journey from salt to freshwater during the final phase of their lives. Brilliantly, a series of windows here allows visitors to watch the fish as they progress on their journey. 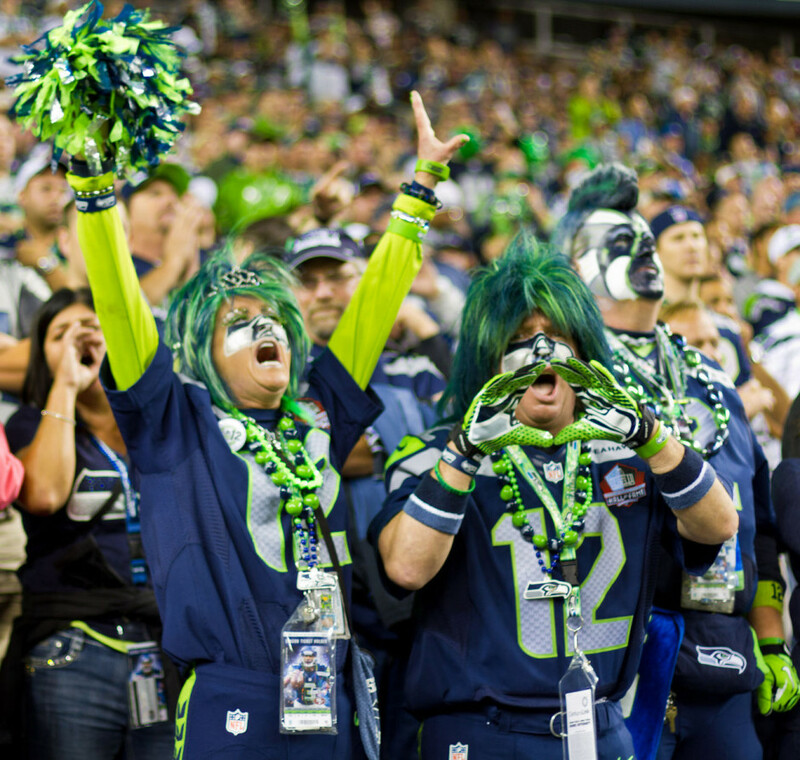 You can attend an NFL game in dozens of cities in North America, but only in Seattle can you take in a game alonside the legendary “12s.” These diehard fans are responsible for producing the loudest collective fan noise ever recorded. 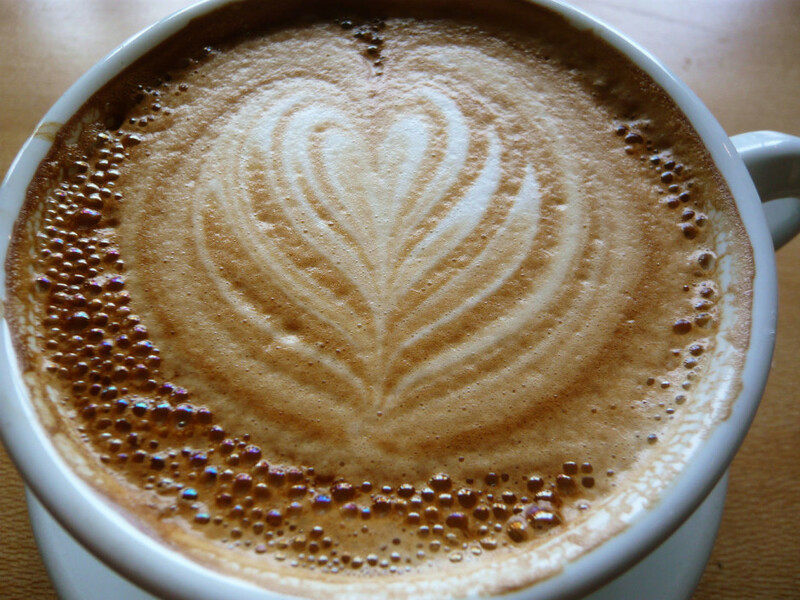 Seattle has many claims to fame, but its connection to quality coffee and coffeehouses is definitely towards the top of the list. There are so many great spots to grab a latte in this city that trying to rank them or create any kind of “guide” is pretty much a moot exercise. Just stop into the next one you see. The foam art above was captured at local favorite Victrola. This is public art, Seattle style. 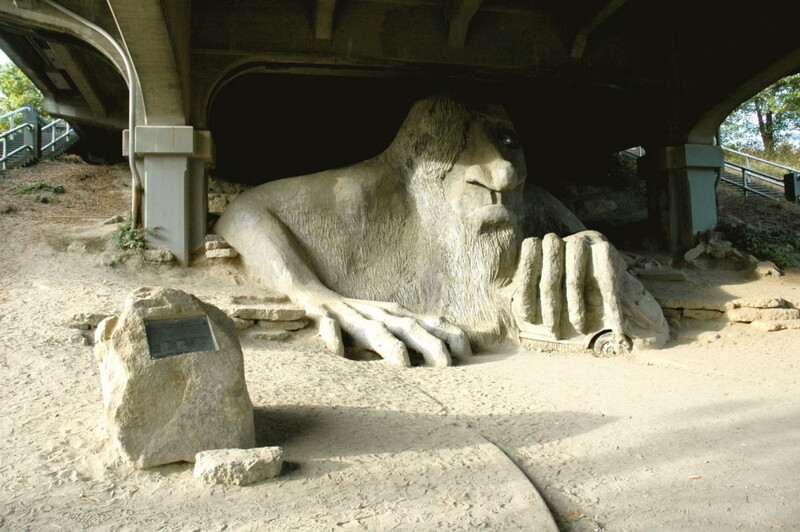 Under the George Washington Memorial Bridge in the northern neighborhood of Fremont dwells this grumpy-looking but highly photogenic troll, clutching a VW Bug. It’s become a destination all its own. 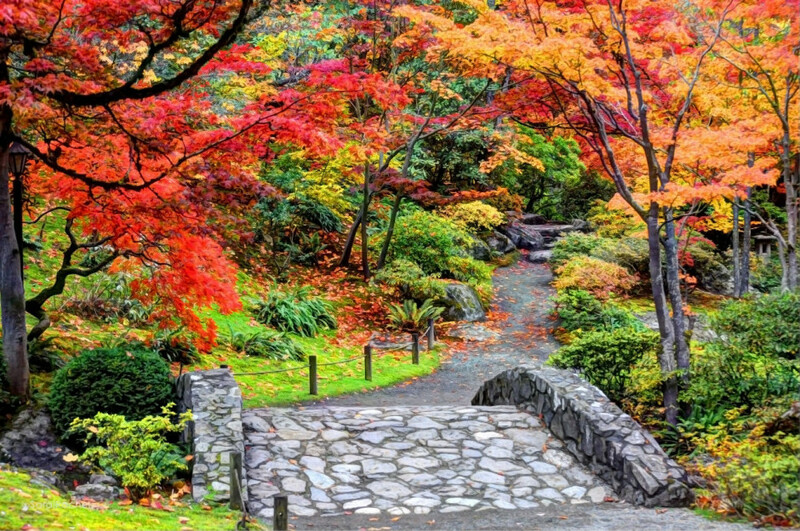 The Seattle Japanese Garden occupies a small section of the much larger Washington Park Arboretum that stretches from Madison to the Montlake Cut, east of Capitol Hill. It’s considered one of the oldest and most authentic of any such garden in the US, another example of the city’s historical ties with East Asia. 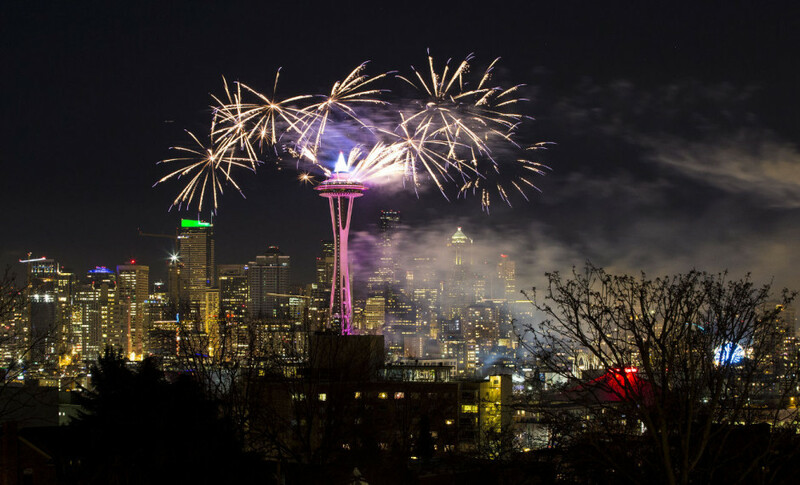 Fireworks erupting from the Space Needle? Hell yes! 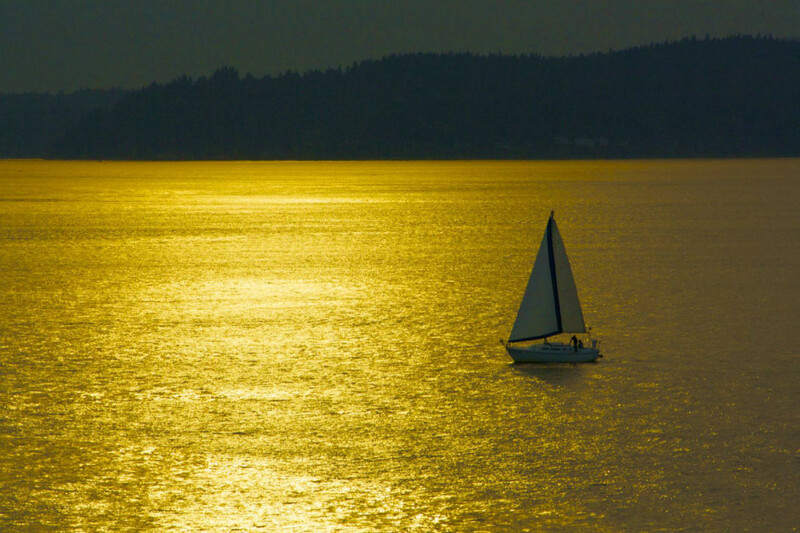 When the sun approaches the horizon of the Olympics in the west and warm light spills onto Puget Sound, there are few places that can compete with this scenery, whether you’re out on the water or back in town. 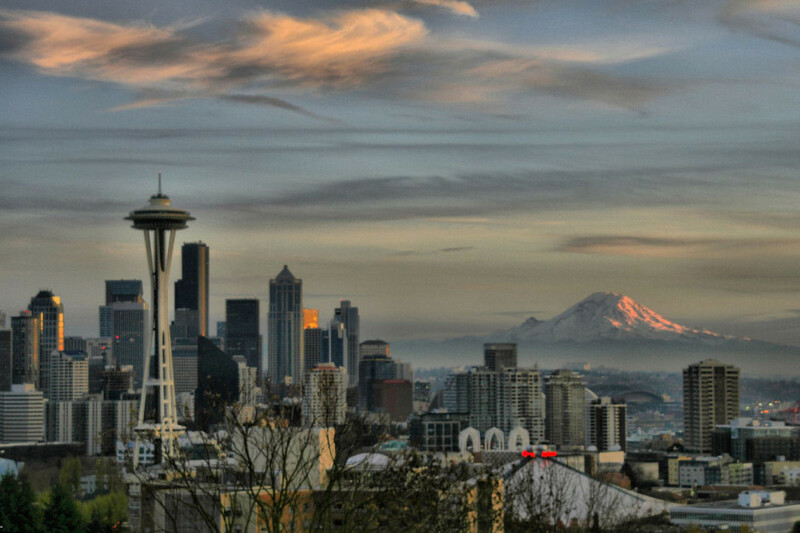 It’s all about Seattle. Hal Amen is a managing editor at Matador. His personal travel blog is WayWorded.